The reds face former Man City boss Manuel Pellegrini who, in his pre-match press conference, appeared keen to do his old club a favour. 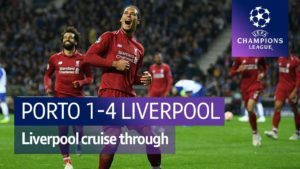 It was the former Liverpool boss Rafa Benitez who did us a favour six days ago, when his Newcastle took all three points out of the grasp of second placed Man City. Liverpool's current lead in the Premier League is 2 points, fans will be hoping the gap returns to 5 points in a few hours time. 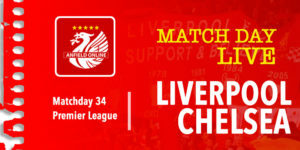 LFC"s recent record against West Ham United has been good - four wins in the last four games, with the reds scoring four goals in each fixture. More of the same would go down very well tonight. For West Ham they are hoping to have Marko Arnautovic back after what looked like a serious injury turned out to be a bruised foot. Liverpool's James Milner returns after suspension, and with Trent Alexander-Arnold, still out he should be slotting into right back. The reds were rocked earlier today with news that Joe Gomez, far from being nearly back after his leg fracture, will undergo an operation after it failed to fully heal with conservative treatment. Official team news coming up in the next ten minutes....! A Liverpool win tonight would take us on to 64 points. To put this into persective the reds have failed to reach 64 points in SIX ENTIRE SEASONS out of the past nine. Dejan Lovren and Jordan Henderson out with muscle issues. Wijnaldum misses out with a sore knee. No Marko Arnautovic in the West Ham squad. Chicarito and Michail Antonion up front. Andy Carroll and Lucas Perez on the bench. 'You are not hearing anything out of Liverpool and they have really kept a lid on it. They are dealing with the pressure, because it will start to mount. 'That's how the games are. You want to have all of your boys available and you want to have to make tough decisions but it isn't this time. Klopp: 'You cannot expect to be Champions in March. It is all good. We have to win our football games - that didn't change. We have to be ready to fight week in week out. The West Ham bubble machine is set to the maximum. 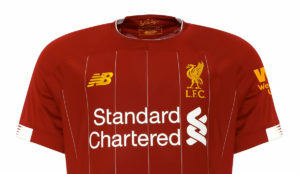 Liverpool in their all grey third strip kit this evening. We are underway - come on you reds/greys. 1' Reds appear to be playing a 4-3-3 formation with Salah on the right hand side of the front three - certainly to start with. 3' First chance to the hammers. Javi Hernandez drills the ball wide - he managed to find some space just inside the box. 5' Keita fouled for a free kick. The reds take it quick and Firmino plays a ball forward but Robertson is offside. 7' Turn of pace from Sadio Mane and Liverpool win a corner. It's cleared by West Ham. 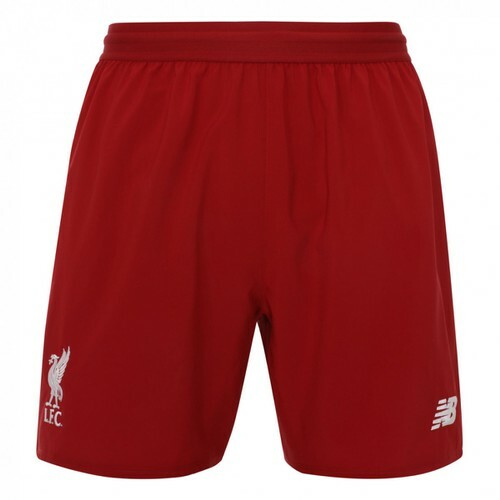 9' Lovely ball threaded through by van Dijk from the half-way line into the path of Robertson. The Scot sends the ball over with his first touch and it's cleared for another corner. 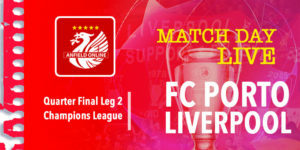 Salah sends the ball into the far side of the area, eventually it falls to Adam Lallana who hits a very weak shot that rolls towards the keeper. 10' Liverpool fail to clear a chance and Cresswell launches a strike from outside the area. It goes wide. 16' Powerful shot again by Hernandez. Alisson pushes the ball away. 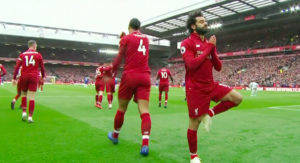 Liverpool on the back foot. 20' Good move started by Firmino, gets the rebound and drives forward but he scuffs his shot. Could have been the opener that. 1-0. Good work by Adam Lallana in the build up - turn and finish from Mane. 28' Free kick to West Ham and it's flicked over. Liverpool's defence not paying attention and Antonio has an easy turn and finish to equalise. 37' Robertson free on the wing, but there's nobody in the box. He has to check his run and eventually he can cross into the box. Fabianski comes out to catch it. 39' Drilled cross from Robertson but Ogbonna gets a touch to put it out for a corner. But the referee gives West Ham the goal kick. 42' Free kick sent in and Declan Rice is in absolutely acres of space. He somehow heads it over. 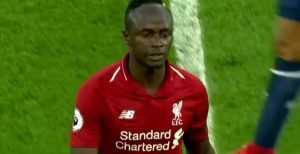 44' Milner free kick sent in and Mane heads straight at the keeper. Half time approaching and I can imagine the riot act will be getting read by Klopp. 45' Salah onside, and now the linesman flags him offside. Weird officiating from the linesman. Not for the first time in the past few days - Liverpool take the lead and our opponents level. Not seen much from Salah, Firmino and Naby Keita not having a great game. 'Lots of white noise but it's very simple. First XI when fit is great. The squad however still not really reliable. We might win but we probably won't with this team. 48' Early pressure from West Ham. They earn a free kick after James Milner fouls Felipe Anderson. Then from a corner Diop heads it wide. 50' Ball strikes Ogbonna's hand just outside the area but it wasn't ruled deliberate. 51' Slightly quicker play from Liverpool. Salah strike from the edge of the box, saved. 54' Foul by Matip. Bit of a silly one to give away in a fairly dangerous place. West Ham free kick drilled at the wall, rebound is hit way over the crossbar. 59' Good break from the reds but Firmino passes it into thin air. Opportunity gone. 62' Salah works himself an angle. Goes for the curler but it's saved. 63' Salah with another chance - he fires this one over. Chances starting to land at his feet. 64' Mad run from Robertson - he's powering towards goal. He's going to take the shot on.... over the bar. More chances the last few minutes than LFC had in the first half. 66' Matip goes walkabout and he's dispossessed. Reds under pressure now at hte back but thankfully manage to, somehow, clear it. 69' Shaqiri on for Lallana. 73' Noble fires over from inside the area. Liverpool defence beaten on the touchline there. Lucky escape. Origi looks like he's coming on. 74' Divock Origi replaces Roberto Firmino. The Brazilian has been poor tonight. 78' Poor ball by Shaqiri, over hit when the reds were in a good position. 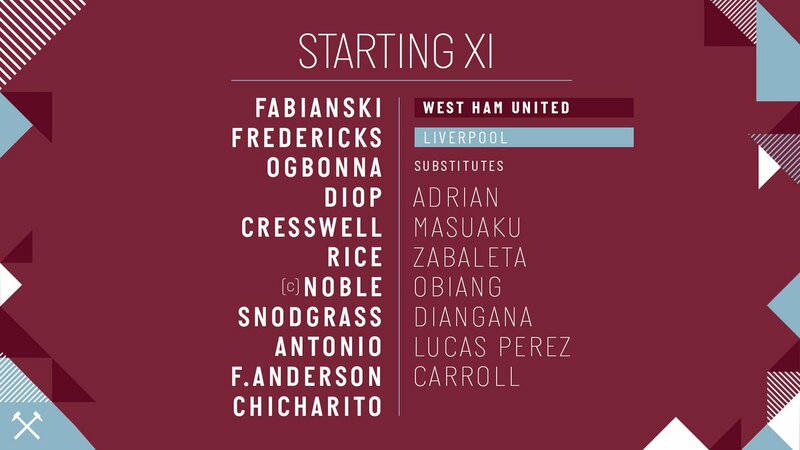 79' West Ham make two changes. Andy Carroll and Obiang are on, Hernandez and Mark Noble head off. Final ten minutes ahead. It remains 1-1. 87' LFC corner drops to Mo Salah but he takes too big a touch and it's cleared. Well well, Liverpool's 4 point lead seven days ago is now down to 3 points after a second consecutive 1-1 draw. Man City can go top of the league, on goal difference, and having played a game more when they face Everton mid-week.